Think your landscape looks fantastic during the day? Wait until you see it at night! 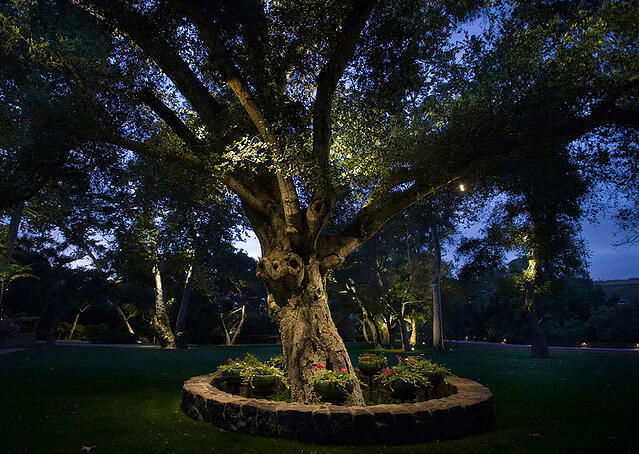 Landscape lighting can be used to create many impressive visual effects, from highlighting architectural elements to turning trees and plants into striking focal points. By using landscape lighting strategically through your property, you can enhance its beauty and enjoy your landscape in a whole new light. 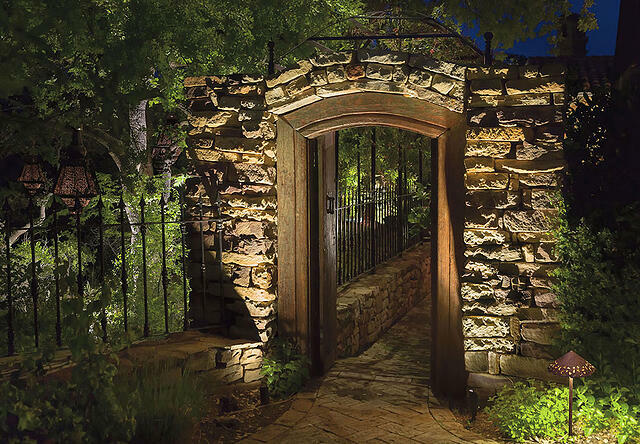 Accent lighting enables you to create scenes mimicking the natural effects of moonlight within trees, or highlight architectural features of your property. Accenting draws special attention to specific features, dramatically focusing attention to trees, yard art, architectural features, outdoor walkways, gardens and more. The effect of the accent light can be changed by adjusting the angle. The grazing technique is perfect for highlighting interesting textures or stone work. 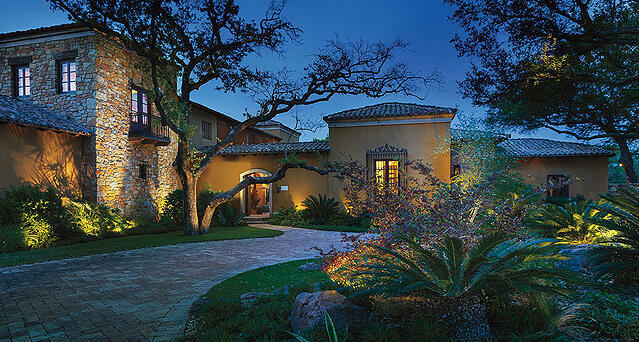 It adds depth and dimension to stucco, brick, stonework, or architectural features of your home or building. 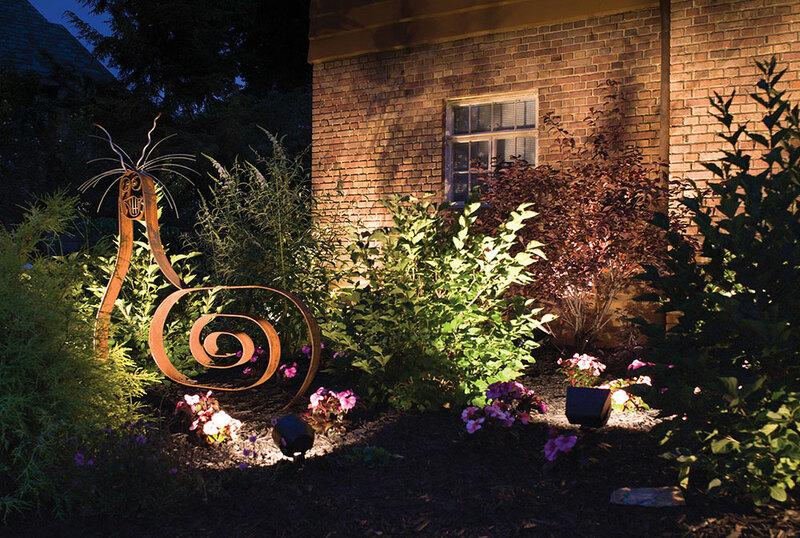 Grazing produces an even, subtle ambient light, and is best achieved with a wide angle flood light with low wattage. To create a grazing effect, spread-lights or up-lights are placed six to eight inches in front of the wall with beams directed vertically. Shadowing is used to project the look of an object, such as a tree or yard art, onto a surface behind the object. By placing the fixture toward the base of the feature and aiming it toward an adjacent wall, a soft shadow is created. This outdoor lighting technique works well with trees that have open, delicate foliage. Shadowing adds drama to any landscape, since lighting the object from low down and angling upward can provide a larger-than-life effect. Similar to shadowing, a silhouette is achieved by placing a spotlight behind a feature and aiming it toward an adjacent wall. The goal here is to create a dark outline of the object in order to call out an interesting shape. Smooth or light-colored surfaces work best for this technique in order to achieve a strong and sharply defined silhouette. 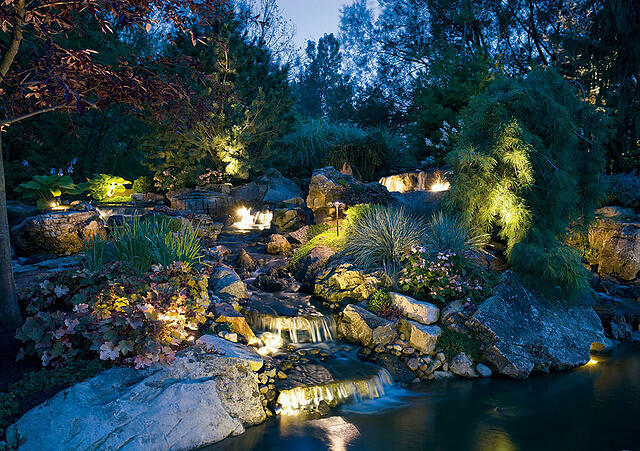 If you have a water feature as part of your landscape, you can’t go wrong by adding lighting. The mirror lighting technique is used to create dreamlike water scenes by strategically lighting the background areas of bodies of water. You can also use this technique to further enhance and highlight flowing water in waterfalls and streams. With still water features such as ponds and pools, lighting the water from underneath adds depth to what would otherwise be a flat surface. 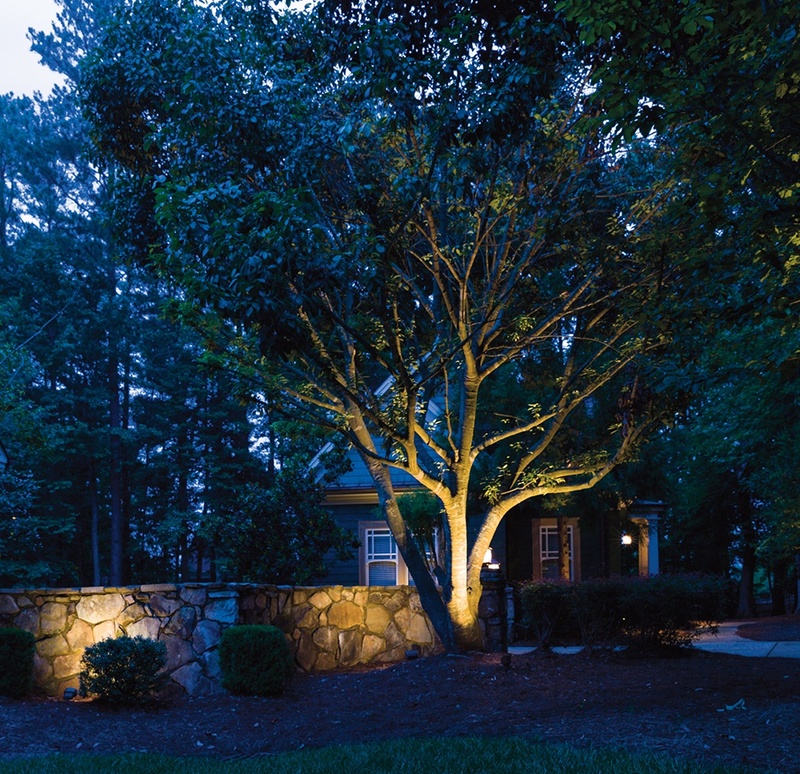 This outdoor lighting technique uses low-voltage light fixtures with halogen or LED bulbs that light objects, such as trees or flagpoles, from the ground up to show off their shape and structure. Shine lights upward to illuminate an object or surface for dramatic, attention-getting focal point.